Posted on 22, November 2017 by EuropaWire PR Editors | This entry was posted in Insurance, Switzerland and tagged Global insurance review 2017, non-life insurance, reinsurance, Swiss Re Institute. Bookmark the permalink. ZURICH, 22-Nov-2017 — /EuropaWire/ — Prices in non-life insurance and reinsurance are expected to increase, according to Swiss Re Institute’s Global insurance review 2017, and outlook 2018/19 report. The multiple large natural catastrophe events that occurred in the second half of 2017 have drained capital from the Property & Casualty (P&C) sector. At the same time, prices have been low, having fallen substantially over the past several years. The global economy is in a cyclical upswing, and the forecast is for moderate growth in 2018 and 2019. 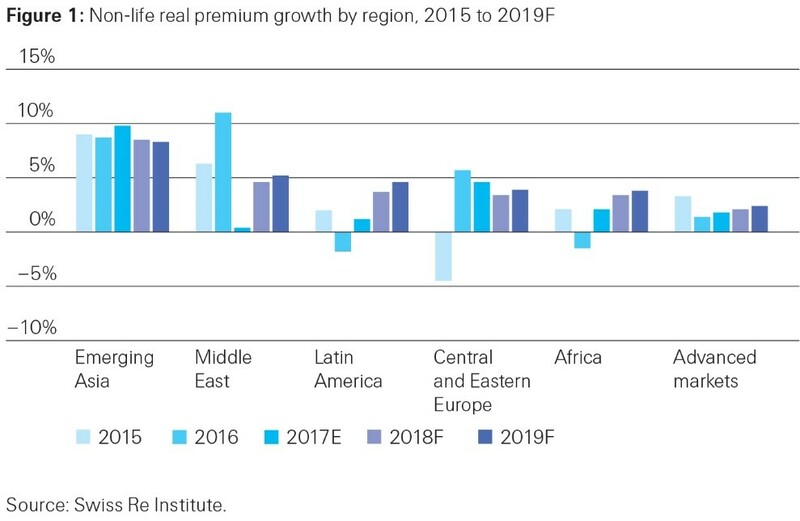 This should further support growth in the insurance markets, with global non-life premiums forecast to rise by at least 3% and life premiums by about 4% in real terms annually in 2018 and 2019. 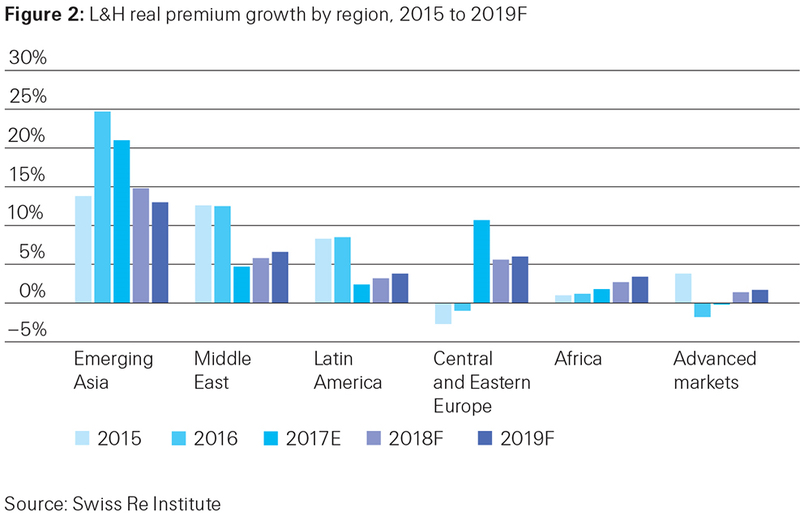 The emerging markets, particularly in Asia, will continue to be the main driver of premium volume gains. A string of large natural catastrophes in the second half of 2017 – hurricanes Harvey, Irma, Maria, earthquakes in Mexico, and wildfires in California – resulted in significant losses in P&C insurance and reinsurance. The three hurricanes and earthquakes in Mexico resulted in estimated insured losses of USD 95 billion, and non-life re/insurers’ full-year underwriting results are likely to be severely impacted. For example, the combined ratio in US P&C insurance for 2017 is forecast to rise to 109% from 101% in 2016. In global reinsurance, assuming no further large catastrophe events, the combined ratio for this year is estimated to be around 115%, up from 92% in 2016. The large losses are expected to lead to rate hardening in both non-life insurance and reinsurance. “Price rises in loss-affected segments are already happening and could be substantial” says Kurt Karl, Swiss Re’s Group Chief Economist. “The ultimate volume of losses is not yet known, but appears to be large enough to cause price increases beyond the affected sectors. This is also happening because prices have fallen so low over the past few years.” In reinsurance, the above-mentioned catastrophes have drained capacity from both the traditional and alternative capital sectors. Prices in loss-affected accounts could rise significantly. Global non-life insurance industry profitability has declined in 2017, with return on equity (ROE) down to 3% from 6% in 2016. The decline was driven by three main factors: soft underwriting conditions, low investment yields and catastrophe losses. Insurers’ investment income has continued to be weak given the ultra-low interest rate environment over recent years, and will not recover soon. As interest rates gradually rise, investment income will grow only slowly, with a lag to rising rates. As such, while profitability in non-life insurance is expected to strengthen in 2018 and 2019 as underwriting conditions turn more favourable, the improvement will be modest with industry ROE at around 7-8%.